Due to high levels of lead in the environment, area of Upper Meža Valley was proclaimed as a brownfield site in 2007 and received special remediation with the aim to protect human health, especially children. The data show that the burden of children with lead improved in the first years of the program, which was not the case after 2010. 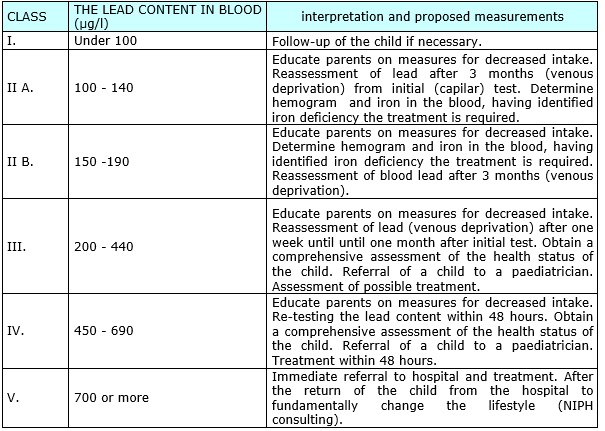 Prevalence study of blood lead burden of children from Meža Valley conducted in 2018 showed higher values of blood lead, than study conducted in 2013. For further improvement, it will be essential to implement appropriate measures, to improve the living environment and to maintain already achieved. In the future it will be required more targeted work with smaller groups and individual children, in which will be found an increased risk of lead and individual-oriented advice in favor of improving the state of lead in the blood of a child.